This is a summary of the features available in Beaver Themer 1.2. See the regular Themer articles in this collection for more information. Fine-tune Beaver Builder layouts in ways that previously required code. See the Related Article below for details about conditional logic, and for developers see the conditional logic APIs. In Themer layout types that allow Page location settings (Header, Footer, Singular, Part), there is a Page ancestor location, which applies. to all descendants in a page hierarchy. See the Themer locations reference in the Related Articles below. 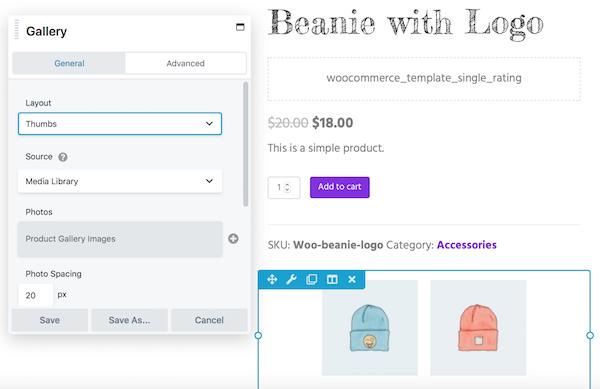 You can insert a WooCommerce product image gallery into a layout by inserting the Product Gallery Images field connection into the Photos field of a Gallery module, as shown in the following screenshot. For Themer Singular layouts, the Post Navigation module has an enhanced Settings tab. 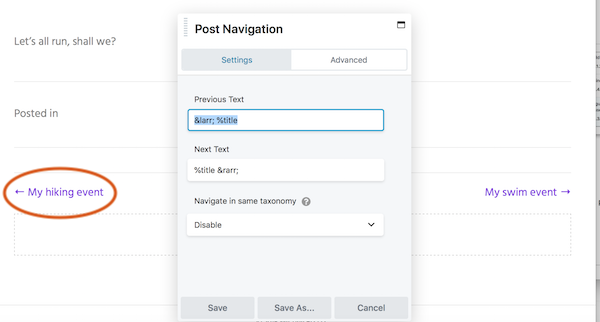 The option to limit post navigation to the same category is expanded to navigate within the same taxonomy to accommodate custom post types. In addition, the navigation icon and text can be customized, as shown in the following screenshot.